Cooking with Joey: Festive Wine Pairings from the Wine Guy! If you're looking for advice about wine pairings, I will be the first to tell you that I am NOT the person for the job. What can I say? I don't drink wine! I LOVE cooking with it, and I love what it does to deepen the flavors of a rich savory recipe, but I'm not the guy who can give you advice on your wine choices. 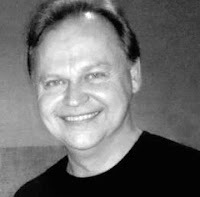 My brother Jimmy, however, is EXACTLY the guy you should be asking! Why? Because he's The Wine Guy! He's a self taught wine FANATIC who works for Roger Wilco Wine and Spirits. He'll tell you which wines go with which courses and he'll also tell you the best deals and how to get the most bang for your buck. He really knows what he's doing! Also sign up for Roger Wilco Wine Guy text alerts. We'll let you know what we are pouring at the store, what's coming up, giveaways and more! Text "wineguy" to 94637 to sign up. The message is free from me but standard text messaging rates will apply from your cellular provider. Sarah Josepha Hale, an American magazine editor, persuaded Abraham Lincoln to declare Thanksgiving a national holiday. She is also the author of the nursery rhyme "Mary Had a Little Lamb". Is there a wine that can go the distance from start to finish - from appetizers to turkey, stuffing, cranberries, sweet potatoes, through to pie or cheesecake for dessert? YES. 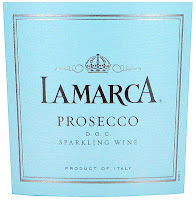 A sparkling wine. But I am looking forward to a "flight", pairing a wine with each part of my festive meal. I know you've read a hundred times that you should drink whatever you like, and you CAN (this is America!) but that doesn't mean there aren't good and bad pairings. With its bright acidity and palate-cleansing bubbles, you've already taken care of two of the primary purposes of wine: to cut through the fat in dips and appetizers and refresh the palate after each bite. A delightful beginning to your meal. 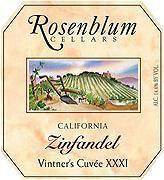 On such an American holiday I like to recommend this uniquely American wine: Zinfandel. Rich, robust, very ripe and abundantly fruity, exactly matching Thanksgiving dishes which are also rich, robust, and often leaning toward the sweet side of savory. 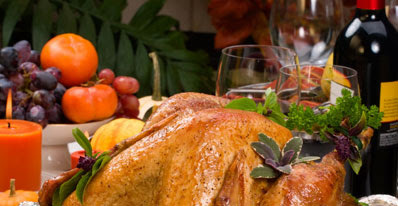 Pinot Noirs are becoming the go-to choice for Thanksgiving. It's entirely understandable given its explosive flavor, soft tannins and food-friendly acidity. 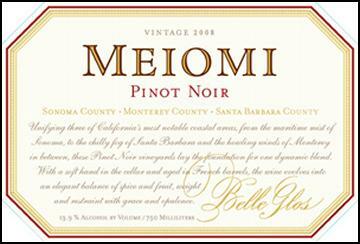 Although I normally prefer the elegance of the Burgundian model, bold side dishes in a traditional turkey dinner need the fruitiness of a new world style, and Meiomi is a perennial favorite. 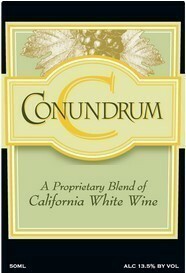 A blend of Chardonnay, Sauvignon Blanc, Muscat Canelli, Viognier and Semillon sourced from California, Conundrum is slightly sweet and effervescent yet surprisingly complex. Aromas of honeysuckle with hints of peach and vanilla mingle with melon, pineapple and pear. Maybe an unusual choice, but a Rosé, and I mean a REAL Rosé, combines the lively freshness of white wine and the medium to full body of red wine. Coppola's Sofia Rosé, with its blend of Grenache and Syrah can also pair with ham and vegetarian fare. It also has a beautifully designed package that will add elegance to your table. Serve chilled, but not too cold! Dessert: Maybe Just a Small Piece! 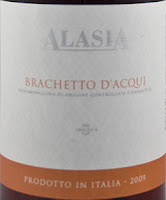 If you are unfamiliar, think of it as the red version of the Moscato d'Asti wine. 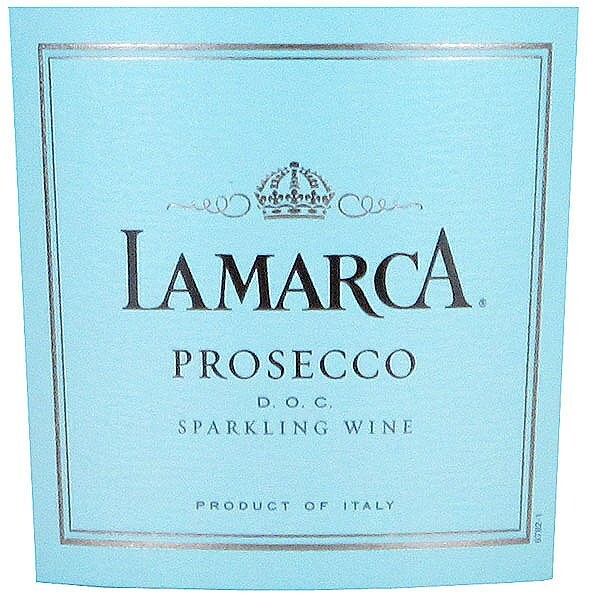 It is sweet and frizzante (mildly sparkling) with a hint of tartness. 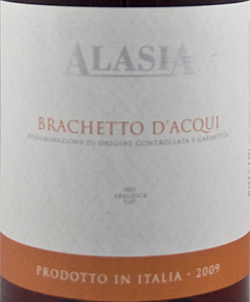 The red bold fruit explodes with flavor: raspberry, sweet and sour cherries and slight note of strawberry, which is a signature of Brachetto D'Acqui sparkling wines. It is stunning when paired with any dessert... or AS dessert! I always get asked about Beaujolais at this time of year, especially Nouveau and the whole 'drink it before Christmas' thing. Although its popularity seems to be waning of late, a Cru Beaujolais or Beaujolais-Village, with its light and fruity flavor is still one of my guilty pleasures.